May 3, 2015: Pacquiao vs Mayweather megafight became viral and trending online. The boxing fight invades the internet and it already has a billion of views. 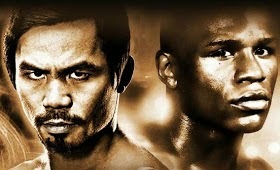 Live updates of #PacquiaovsMayweather fight results, updates and full video replay. Manny Pacquiao vs Floyd Mayweather match is a historic fight. It took 5 years before this fight deal done.